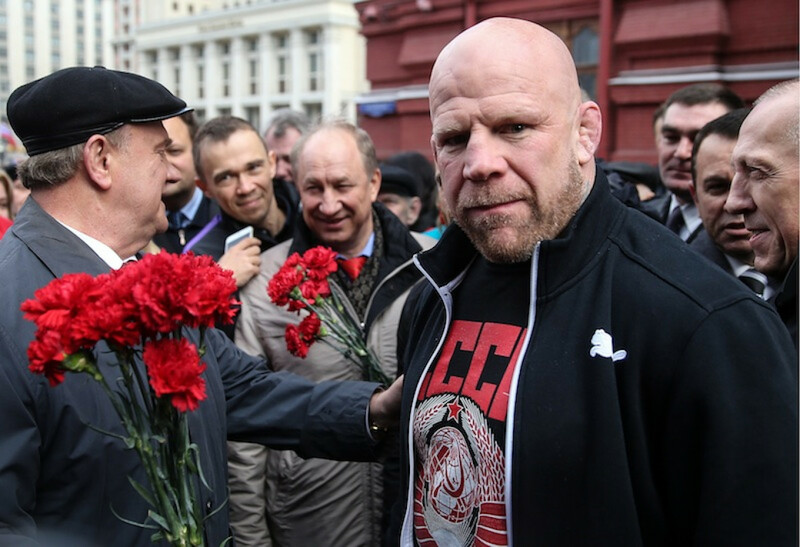 How a mixed martial arts champion became a Russian hero. A committed communist and strident critic of U.S. foreign policy, Monson last month became the first American to receive citizenship from the unrecognized People’s Republic of Luhansk (LPR). 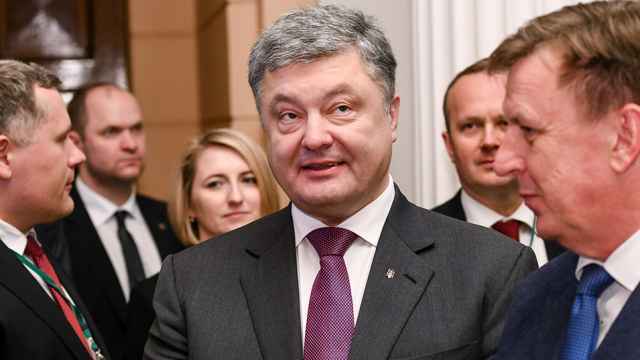 It was a token of gratitude from the leadership of the breakaway statelet, which most neutrals consider to be a Russian proxy in a war with the legitimate government of Ukraine. This is all high politics, though, which takes a backseat when Monson describes the suffering he’s seen on his two visits to Luhansk. His first trip was in June, when he met Russia’s infamous nationalist biker gang, the Night Wolves, in Rostov-on-Don, near the Russian border with Ukraine. From there, the gang escorted him across the border to Luhansk — a violation of Ukrainian law. When Monson returned to Luhansk in September, he brought supplies for a local orphanage. With money from the LPR government, he also helped set up something more permanent: the area’s first martial arts school, which he hopes can impart upon local kids a sense of community, self-worth, and discipline — the things all sports offer, he says. Many in Luhansk, joined by even more people in Russia sympathetic to the separatists, have celebrated Monson’s humanitarian efforts. The state-run RT propaganda network is even giving him a television show. 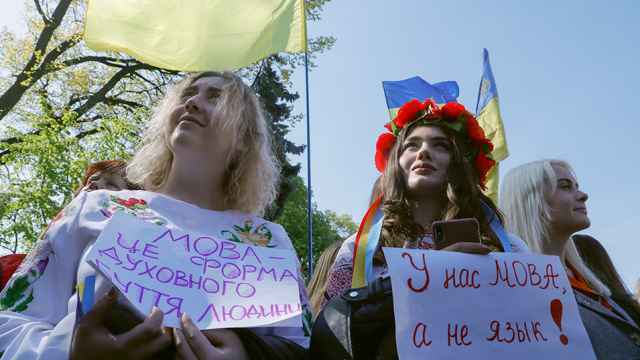 In Ukraine, on the other hand, Monson is viewed widely as a criminal or worse, and his actions have drawn sharp criticism from those who fought to overthrow Ukrainian President Viktor Yanukovych’s corrupt regime. It was this revolution, after all, that sparked Moscow’s support for separatists in the country’s eastern regions. 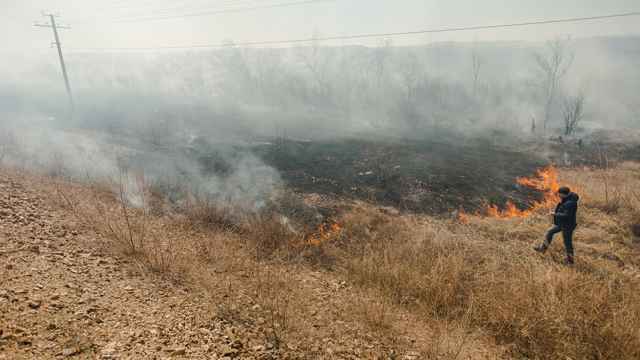 Monson gets letters from people in Ukraine and in the U.S., where he was recently held at the border and questioned about his activities in Luhansk. In the letters, people call him a terrorist. He is likely to be the subject of further controversy after receiving citizenship from the President of Abkhazia, an unrecognized breakaway region of Georgia. Monson is used to the spotlight, but not for humanitarianism. One of the world’s most decorated mixed martial arts (MMA) fighters, he made his name in the ring, pure and simple. At age 28, Monson won his first championship in a technique known as grappling — a discipline he excels in to this day. Time is catching up, however, and Monson’s body is beginning to fail him at 45. Today, he projects an image of both imposing strength and surprising fragility. His movements are lumbering and laborious, and his left leg betrays a significant limp. Unable to fight legally in the United States any longer, Monson has spent much of the past five years fighting in Russia, under a Russian flag. 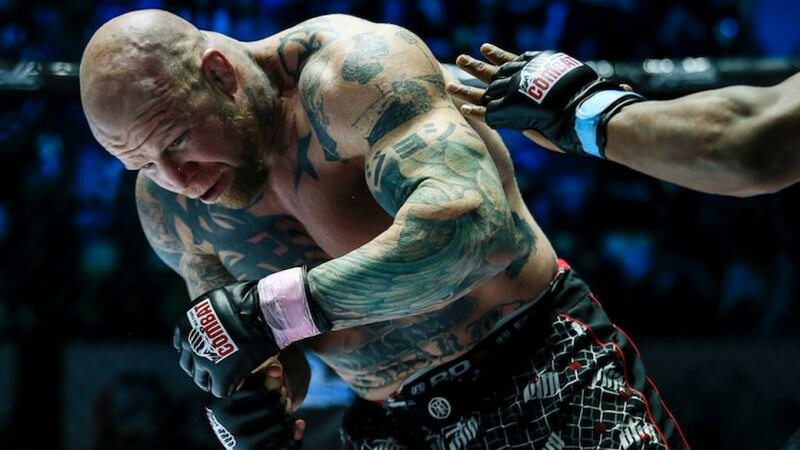 Beneath the stereotypical facade of a professional MMA fighter, Monson is an unfettered idealist, describing himself as a libertarian-communist, meaning that he believes in a socialist utopia in which all men live equally and cordially without government. He plans just two more fights before devoting himself to a life of communist missionary work in Luhansk and in Russia. “The only way we are going to survive as a species is to share things, stopping production of things we don’t need. Produce for need, instead of capital and wealth,” Monson told The Moscow Times. Monson wasn’t always a communist. As he describes it, his childhood in the Seattle area was an all-American cliche. It wasn’t until college, when a professor introduced him to socialist literature, that he began to examine his worldview critically, he says. His formative moment would not come for another several years, when he traveled to Brazil for a fight. There, he says he saw true poverty for the first time. Struck by the apparent injustice of his privileged youth — and the relative wealth of the United States — and the squalor he witnessed in Brazil, Monson adopted strong leftist views. Until recently, the hammer and sickle tattooed on Monson’s leg were the clearest evidence of his leftism. But now he says he’s making it his mission to live by the values they symbolize, vowing to help children in poverty, specifically Russia’s children. Monson’s experience in Brazil, he says, primed him to see the world with an open mind. Over the years, he became increasingly critical of the U.S. government, but it wasn’t until a chance run-in with Vladimir Putin that he discovered his affinity for the former Soviet Union. In 2011 in Moscow, Monson lost a fight badly, breaking his leg during a 30-minute contest against local legend Fedor Emelianenko. But Monson kept fighting. When the dust settled, he got a phone call from none other than President Vladimir Putin, who told the American he had demonstrated true Russian spirit — the will never to give up. Monson says he was flattered by the call, which he cherishes as a major sign of respect. He says he gets the same kind of respect from Russian crowds, too. Encouraged and enamored with this kind of public support, Monson started traveling to Russia frequently to fight. Now he says he’s even pursuing Russian citizenship. Monson’s popularity among Russians is not unique. His experience falls within a broader phenomenon of late-career Western celebrities finding a second wind in the former Soviet Union. 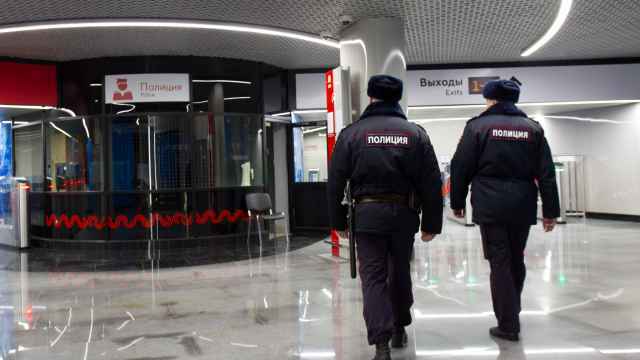 The likes of French actor Gerard Depardieu (who received Russian citizenship from Putin) and action-film star Steven Seagal (who still aspires to citizenship) are often seen prancing around glitzy venues in Moscow. Monson’s love for Russia and his ongoing criticisms of Washington’s foreign policy have won him other admirers — namely the producers at Moscow’s state-funded propaganda network, Russia Today (RT). In the coming weeks, the station will premiere a political commentary show hosted by Monson on both its domestic and foreign networks, Monson says. The show will focus on various topics, and Monson says he’s working on episodes covering issues ranging from migrant workers in Moscow (he wants to know why only Central Asians do construction and the city’s other dirty jobs), U.S. military bases and interventions, Pokemon, and the Moscow Circus. It’s a way for Monson to explore his new home, and share his view of Russia with the world, he says. Asked if he’s worried about being used by RT for propaganda purposes, Monson says it’s a mutually beneficial relationship: “Will I be allowed to criticize Putin? Of course not, but I refuse to say anything I don’t agree with.” Fortunately for RT, this will involve some America-bashing. But Monson hopes the show can help him reinvent himself as a political thinker. Monson hopes to leverage the show to achieve his larger goal: to become an active and constructive member of the Russian Communist Party. Like RT, the communists so far appear to be happy to have Monson, if for no other reason than the fact that he attracts young supporters to an increasingly aging and outdated party. Indeed, an Oct. 1 seminar organized by the Communist Party Youth Sports Club drew a surprising number of children — a rough count indicated around 150 — when Monson expected an older crowd. And everyone wanted selfies when the fighting was done. “Frankly speaking, there’s a lot of stagnation in the party. I’m not going to come in and start demanding things, but I want to push for some changes,” he says. “This is, after all, the Communist Party. I want to work within the party to realize some of the ideals that the party was founded on in 1917,” Monson said, lamenting the party’s current status as a Kremlin-sanctioned opposition party. Monson isn’t kidding when he talks about his political beliefs, and he does his best to demonstrate his commitment to communism. He says he hopes that a recent seminar he ran for the Communist Party will be just the first of many free seminars across the country. All the while, he is hoping to master Russian to pursue bigger goals, such as eventually becoming a communist deputy in the State Duma. “The party needs to stop living in the glow of the Soviet Union of old. Of course, it will always have a history and place here because of its past, if anything because of its influence in winning World War II and saving the world really, but the big thing is that they can make things better for people today if it starts to look forward and practice the ideals the party stands for,” Monson says.